There aren’t many times that I look back and realize I missed an opportunity to save money or make some extra money, but today was one of those days. 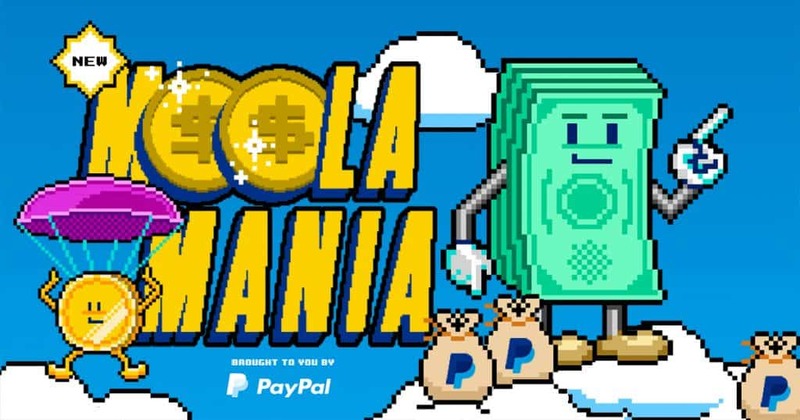 In February of 2018, PayPal offered a gamed called “PayPal Moola Mania”, and sadly… many people (myself included) never heard about it! Which is driving me insane because I work so hard to save money. After doing some research online, it appears a lot of folks missed out at the chance to win up to $10,000. Come on PayPal… You’re better than that! I’m almost ready to start a petition to bring back PayPal Moola Mania! So What Was PayPal Moola Mania? Back in February of 2018, PayPal offered a chance to win anywhere from $5 to $10,000 to all of its members! The game lasted for about 6 weeks and was open to anyone who had a PayPal account and was 18 years old. All you had to do was log into your PayPal account, request a free code and bingo, bango, bongo… a code was sent to your email account. The PayPal game itself was like a digital Plinko of sorts. You’d get your “coin” and drop it down the board. It would bounce around and end up in either a game piece or instant win section of the board. From there, you’d either instantly win money or receive different game pieces that added up to some pretty awesome cash! For example: You could collect 3 “dough” pieces and receive $1,000! What Were The Moola Mania Pay Outs? PayPal Moola Mania offered a wide range of payouts. You could win anywhere from $5 to $10,000. Now, your odds drastically changed as you moved up the ladder of payouts. One Collect and Win Grand Prize: $10,000 sent to your PayPal account. Five Collect and Win Game First Prizes: $1,000 sent to your PayPal account. If you’re doing the math, that’s $75,000 in cash prizes! Holy. Moly! Where was I?! How did I miss this?? Turns out, they did! Those lucky SOBs. Those lucky folks did in fact win some moola! 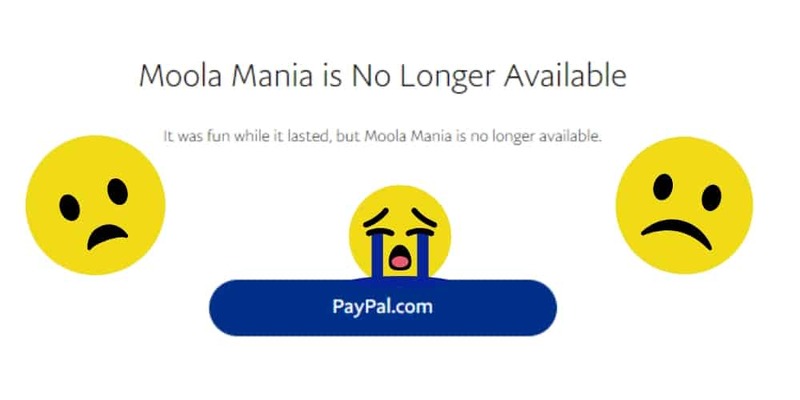 Sadly, for as much as I use PayPal, I never heard about moola mania and I’m still pretty bummed about it. So, I’m calling on you PayPal! Bring back moola mania! Give us another chance to win, after all… who couldn’t use some extra cash?